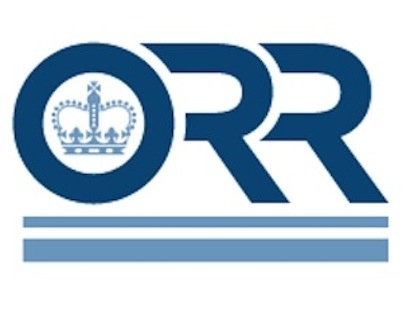 Statistics published by the UK Office of Rail and Road show that the increase in demand for passenger usage slowed to 1.5% in the first quarter of the 2016/7 financial year with 419 million journeys undertaken. This is a reduction in the trend seen in recent years where growth has averaged 4% annually. 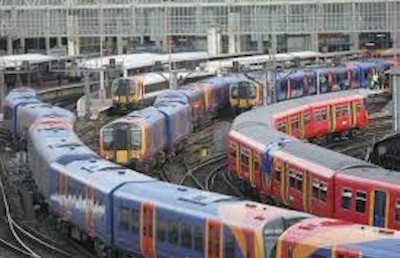 The slowdown was most apparent in London and the South East where numbers increased by 1.1% but three operators saw a decline compared to the previous year with South West Trains, London Overground, and Abellio Greater Anglia, each carrying fewer passengers. In the latter case the reduction was a substantial 34% given the transfer of routes that are to be part of Crossrail (the Elizabeth Line) and North East London services that have been amalgamated with London Overground. The LOROL decline reflects the closure of the Barking – Gospel Oak route from 4 June 2016 to February 2017 to allow electrification work to be carried out. For SWT train service capacity issues may have deterred travel which will be alleviated by additional rolling stock currently being delivered. Another factor in the London and South East statistics has been the reduced capacity of Govia Thameslink services as a result of London Bridge rebuilding and the necessity to run an emergency timetable due to staffing issue. There is considerable variation in the performance of individual franchises with London Midland performing strongly with an 8.7% rise in journeys compared to the same quarter last year and c2c (North Thameside) securing a similar 8.6% rise. Elsewhere Scotrail suffered a marginal decline. The total number of passengers carried by franchise operators in the 2016 financial year was 1,687 million which rises to comfortably more than 1,700 million when open access and Eurostar numbers are added. The comparable number for franchised operators five years ago was an outturn of 1,354 million in the 2011 financial year indicating growth of 23.4% over that period. Go back 10 years to 2006 and the number was 1,076 million and 20 years to 1996 at the end of the BR era a figure of 761 million demonstrating the extent of the industry turnround that has taken place. Fare box income for the franchised operators was 3.6% up for the quarter at £2,338 million with again a weaker showing in London and the South East recording £1,171 million a 2.2% rise. With the open access operators that include Heathrow Express added trends suggest that overall revenue will be close to £10 billion this year. It was £2.4 billion 20 years ago which with inflation added equates to £4.1 billion today.